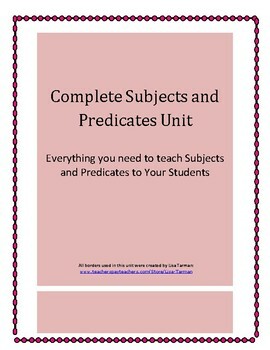 Everything you need to teach subjects and predicates to your students. 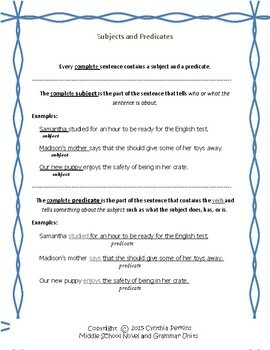 Topics covered in the unit: complete subjects, complete predicates, simple subjects, simple predicates, compound predicates, and compound subjects. 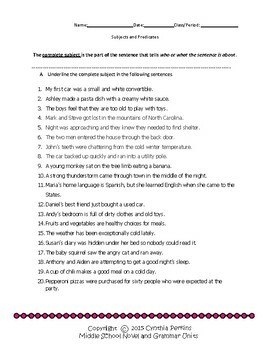 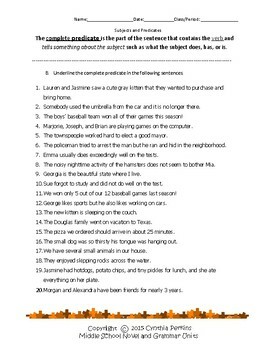 25 sentence test to measure students' understanding of the concepts in the unit.